This article dealt with all of the commuting issues of students of the University of Seoul (UOS). The UOS Times presented a survey about commuters in UOS in detail. Comparing the timetables of the days of a commuter with a non-commuter was interesting. It helps the readers to empathize with the suffering of commuters. They also tried to find out some reasons behind problems that many students suffer. On the last page of the article, The UOS Times gave some tips for saving commuting times. The suggestions are a bit simple, but it will be helpful for commuting students. This article was a good opportunity to review the problems of commuters. Many students suffer from poor-quality sleep. As you know, having a good sleep is essential for a healthy life. According to the article, what matters in sleep is not the length, but the quality. You can check if your sleep is of good quality or not, by self-diagnosing with information in the article. They also analyzed the cause of insomnia medically and gave solutions to solve sleep disorders. It was great to learn how to sleep well and have a good night’s sleep. It may convince most readers that insufficient sleep causes several problems that could be serious. 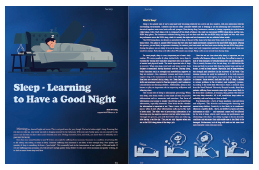 I hope all the UOS students enjoy their sweet sleep and have a good night with this article. Everyone has their own desires and they want to express it through art. 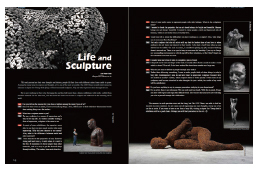 The UOS Times interviewed an alumnus sculptor, Seo Young-deok (Dept. of Environmental Sculpture, ’03). You can appreciate charming attractions of sculpture with his work pictures. I could also feel the sincerity of the artist reading his interview. The sculptor says, “For an artist, there is no retirement.” It seems to be a great statement! All of us can be an artist because art comes out of expressing our own thoughts. Why not develop yourself as an artist? Where do you usually study in the campus? I didn’t know a proper place for studying except for the Main Library because I am a freshman. 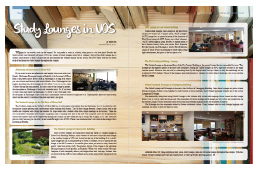 This article introduces us to each of the distinctive study lounges throughout the campus. You can read the special advantages of seven study lounges compared to others. Especially, it was surprising to know that there is a study lounge in the Liberal Arts Building. I hope students learn that they have more places to study in besides the Main library with this article.